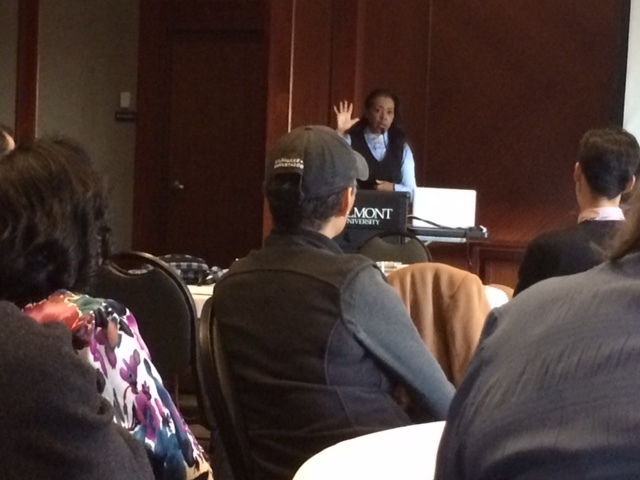 Dr. Cheryl Slay Carr, Associate Professor of Music Business, presented “A Funny Thing Happened On the Way To The Classroom: Teaching Diversity In the Entertainment Industry,” during a breakfast meeting of Belmont faculty on Friday, Nov 20. Carr’s talk included pedagogical insights from designing and delivering an Honors course called “Diversity in the Entertainment Industry: Understanding the Business of Jazz.” The course explores jazz and its commercialization as a context for teaching critical thinking about racial, ethnic and gender diversity. Carr serves as a member of the University’s Welcome Home team which recently sponsored Belmont’s first Diversity week, a week-long series of activities held to heighten awareness of diversity initiatives on campus.